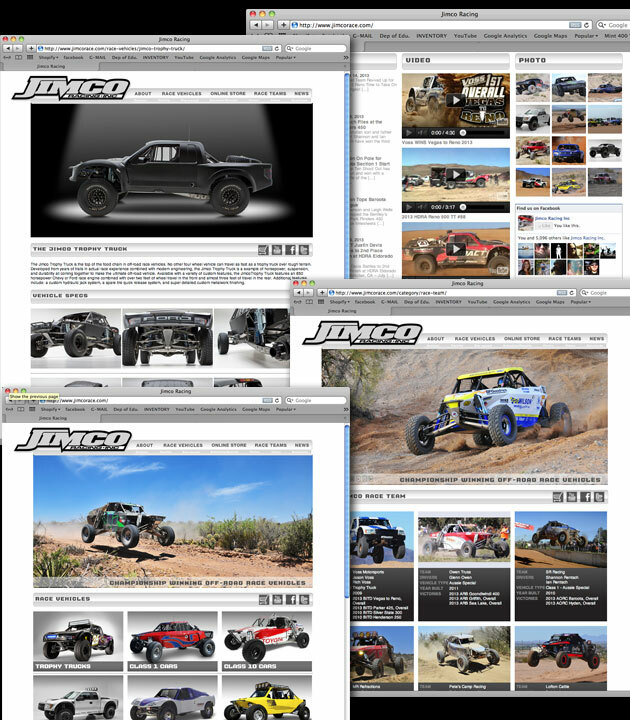 Jimco is the Ferrari of off-road race vehicles…so we built them a custom website to showcase their magnificent cars and trucks in a simple, yet elegant way. Jimco offers an innumerable amount of customization for their vehicles, but we wanted to get the conversation narrowed down for potential customers. The site was designed to be extremely easy to update, so Jimco can tell the story of all the races that current Jimco customers are competing in.